The Albanian (Albanian: Kali shqiptar) is the only indigenous horse breed in Albania. It is a small horse, and similar to other Balkan horses. Two types are distinguished, a mountain type and a lowland type, which may be called "Myzeqeja" after the lowland Myzeqeja region. Before the communist era in Albania, the Albanian horse had a good reputation for endurance and stamina. From 1904 Arab stock was used for cross-breeding; Haflinger and Nonius stock has also been used. The horse was until recently the principal means of transport in the country, which had no tractors, and was essential to the national economy. Horses were used by the Albanian military until 1974. 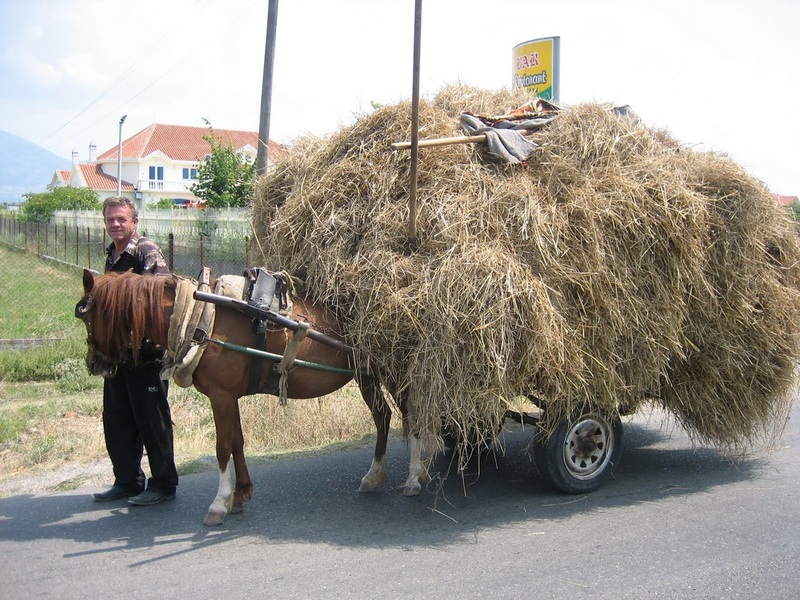 The Albanian horse is used almost exclusively as a pack animal, and only occasionally for riding. Breed data sheet: Comune/Albania. Domestic Animal Diversity Information System of the Food and Agriculture Organization of the United Nations. Accessed October 2014. Robin Hanbury-Tenison (2009). Land of eagles: riding through Europe's forgotten country. London; New York: I.B. Tauris. ISBN 9781441641274. p. 11. Bonnie Hendricks (2007). International encyclopedia of horse breeds. Norman: University of Oklahoma Press. ISBN 9780806138848. p. 10–11.